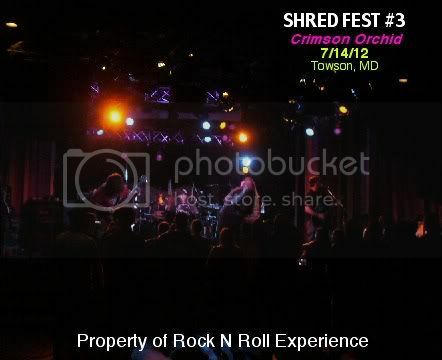 Shred Fest is an annual metal fest that’s the brain child of Baltimore Sound Management owner Brian Smith who’s vision for the 2 day fest is to blend both local & national talent to celebration of all things metal! This year’s headliner for night #1 was none other than the reunited Spineshank who’s set was clearly the most intense of the evening. The local band Millionproof impressed me with just how much they’ve grown as a band and I’d say their set was probably the best of the local acts I caught this night with Crimson Orchid coming in a close 2nd. 9 Electric were the odd band on the bill because their music was VERY Static-X influenced and the interesting thing to note while on that matter is 9 Electric’s last night of the Spineshank tour was this very night because they were leaving to join the Wayne Static/Static-X tour the next day & Wayne Static performed on the bands debut single. 9 Electric’s singer looked familiar to me and I found out after the bands set that he was the former singer for Opiate For the Masses...he looks like a short Billy Idol and the difference between Opiate for the Masses & 9 Electric is simple; 9 Electric have constant samples playing throughout their set & the band itself is more dance oriented industrial rock whereas Opiate for the Masses ended more so as a rock band. 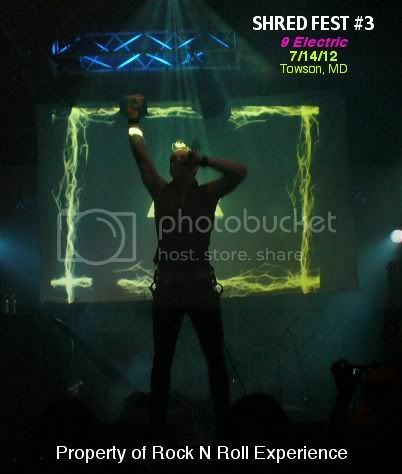 9 Electric utilized a video screen throughout their entire set & they were the best set of the night in my opinion although most would dispute that Spineshank owned the night! Spineshank took the stage using “What a Wonderful World” as their intro and the band played a set that was non stop aggression from start to finish. Musically the band was hard, heavy, intense & angry but through the aggression there was a positive side to what they played and Spineshank had the best sound, best lights & overall most stage space for night #1. Between band sets Al Carr from www.hellmaidens.com hosted the show & tossed out shirts while teasing the crowd with his lovely hellmaidens. 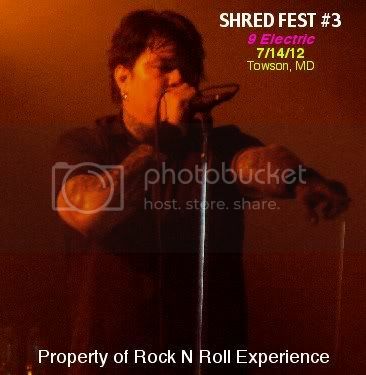 Al’s stage banter was toned down just a bit because of the all ages crowd and as a whole Shred Fest 3, Night #1 was a success. 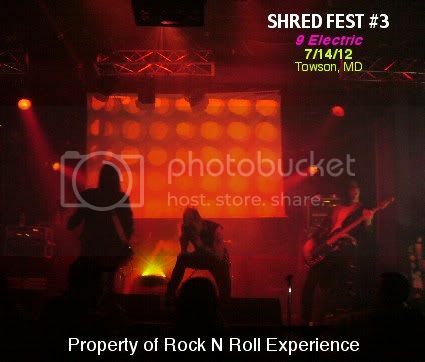 Shred Fest #4 for 2013 is already in the works as we speak!